On November 18th, 1975 Angela Rosa Arias gave birth to her only son, David Ortiz Arias. 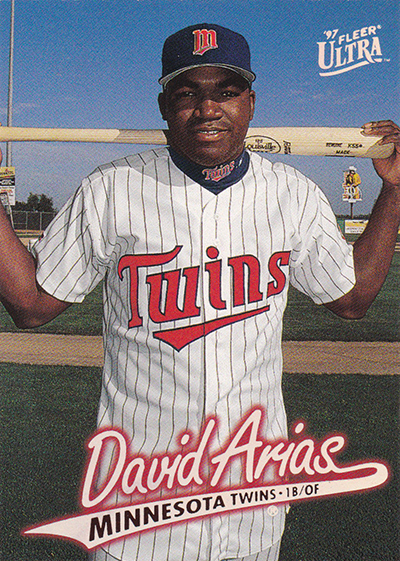 It was with his mother's surname Arias, that David was drafted in Major League Baseball. Angela's life was tragically cut short in a car accident in January of 2002. Thereafter, David would honor Angela by pointing to heaven. The solo act of the Opera is the aria(s). The word "aria" is an Italian word of the 18th century meaning "air". The designated hitter is the "aria" of baseball. The “Arias” brand celebrates the rising of the human spirit and inspires to overcome adversity... to never quit... to be like the "tide and conquer every shore”.